Do you want to get a traffic estimate of your competitors? This would give you a broad understanding of where your website stands in contrast to your competition. It would also be beneficial to get a website traffic estimate for any websites you plan to enter an advertising or link exchange partnership. 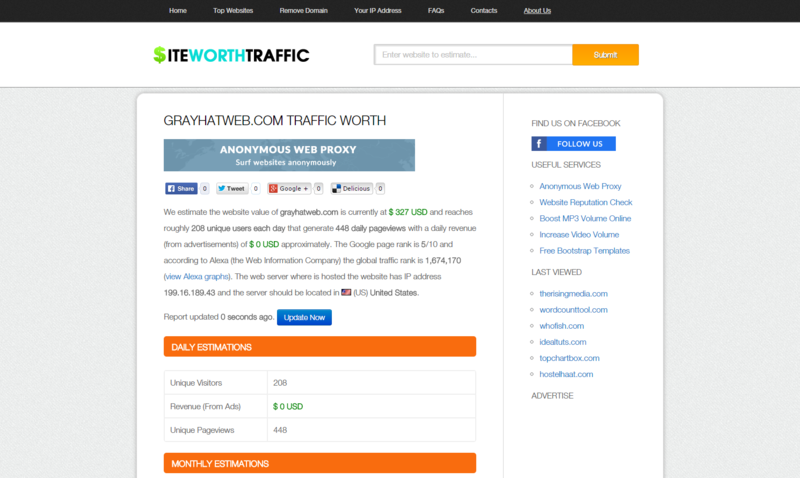 This would serve as a research tool to verify the traffic they are reporting to you. I ran a test across a series of websites where I have Google Analytics access and generally speaking, Site Worth Traffic reflected more accurately whereas Similar Web was more liberally. However, with a small fraction of the websites that I tested, the estimated traffic readings were way off on both sites so use these tools with a grain of salt. 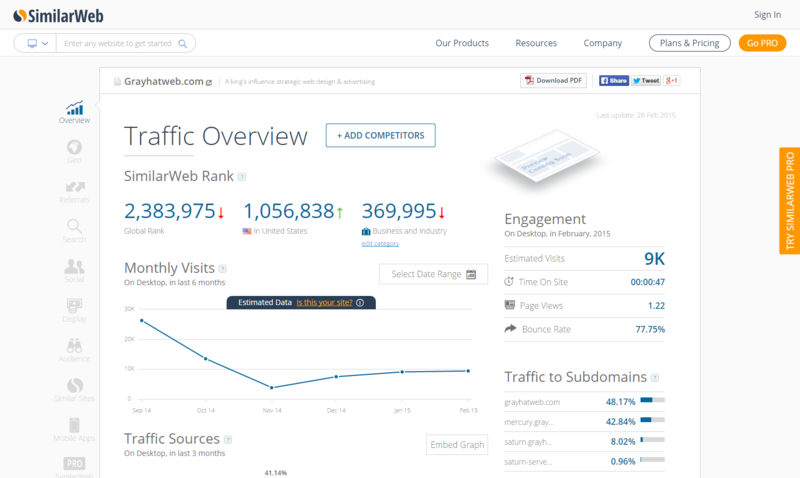 I would also recommend cross referencing the traffic estimates with the website’s Alexa Rank. Alexa.com does not provide a traffic estimate but a ranking system in relation to other websites across the web where the higher the rank number, the more traffic they probably get. For example, if someone says their website gets 5 million a month but has an Alexa Rank of over 1 million, then you know they are full of it.